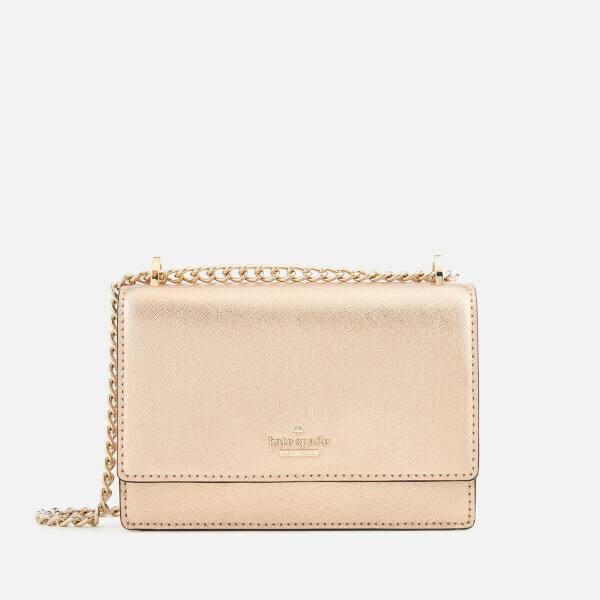 The Kate Spade New York 'Cameron Street Hazel' bag is crafted from crosshatch leather with a metallic rose gold finish for a touch of understated glamour. 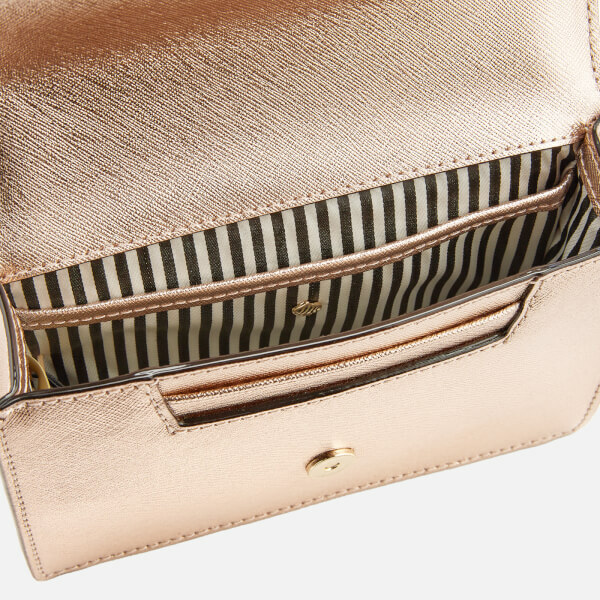 The crossbody bag features a front flap with magnetic closure that lifts to reveal two card slots and a bookstripe printed, poly-twill lined internal with single slip pocket. 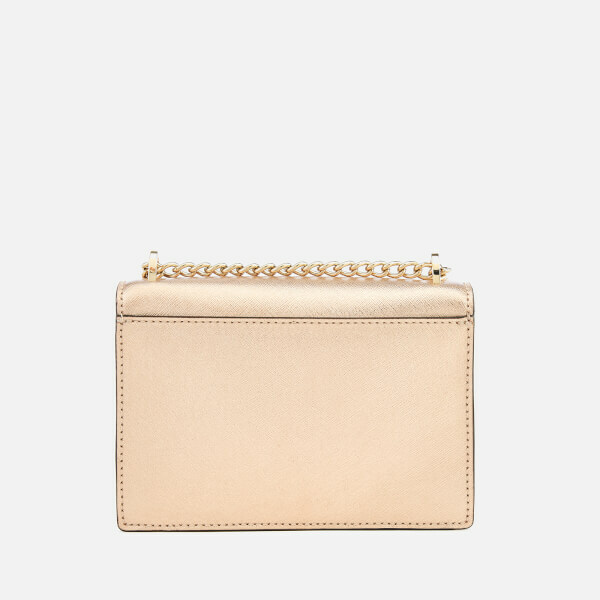 Finished with a chain shoulder strap, additional slip pocket to the rear external and gold tone branding to the front. Dimensions: H: 13cm x W: 18cm x D: 4.5cm. 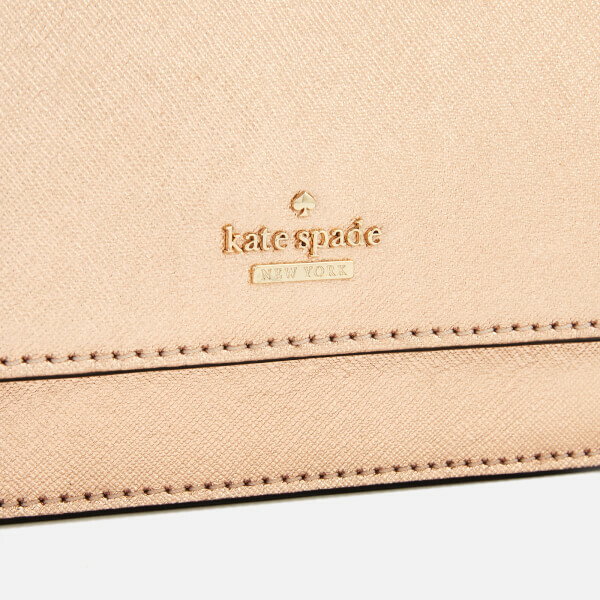 Strap Drop: 59cm.